Even if you’re wearing a pristine, custom-tailored two- or three-piece suit, it’s not going to translate into an attractive, formal appearance unless it’s paired with the right dress shirt. Your dress shirt should feature a color that flows cohesively with the rest of your outfit and, most importantly, be free of wrinkles and creases. Wearing a wrinkled dress shirt is a serious fashion faux pas. Thankfully, it’s also something that you can avoid by ironing. Just remember to follow these dos and dont’s when ironing your dress shirt. Before ironing your dress shirt, check the care label to make sure that’s suitable for ironing. Not all dress shirts can be ironed. Some must be dry cleaned or pressed using other methods. If your dress shirt contains a synthetic material like polyester, for example, ironing may damage the fabric. Therefore, it’s recommended that you check the care label inside the neck collar of your dress shirt before attempting to iron it. If it’s not “iron safe,” use a different method to smooth out the wrinkles and creases. All traditional steam irons create heat. Without heat, they wouldn’t be able to produce iron, nor would they smooth out wrinkles and creases. Too much heat, however, can damage a dress shirt. This is why you should avoid using the hottest setting on your iron. Start with the lowest, least-warmest setting and gradually increase it as needed. Assuming your dress shirt isn’t heavily wrinkled, the low setting should suffice while protecting it from heat-related damage in the process. Some people assume that a table or even the floor is an acceptable place to iron a dress shirt. Although surfaces such as these can work, they lack the stability, strength and heat-resistant properties of an actual ironing board. Ironing boards are designed specifically so that you can iron a shirt or garment. They contain a flat surface at an elevated height, allowing for faster and more efficient ironing. If you don’t already own one, visit a local home goods store to purchase one. Considering that most stores sell basic ironing boards for just $15 to $20, it’s a small price to pay for the peace of mind knowing that you can de-wrinkle your dress shirts and garments at any time. When ironing a dress shirt, it’s important that you can constantly move it across the fabric. Allowing it to sit idle in a particular area for too long increases the risk of heat damage. 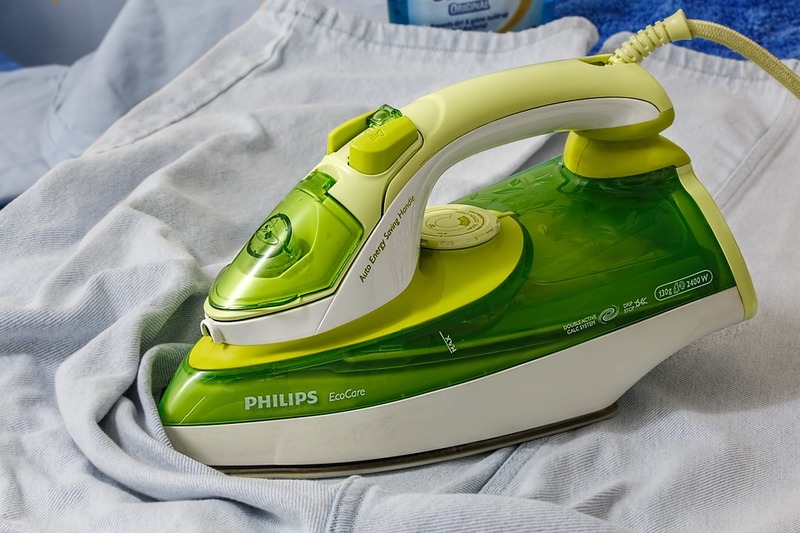 A standard clothes iron can easily reach or exceed 400 degrees Fahrenheit. Normally, that’s not enough heat to damage common dress shirt fabrics when the iron is moving. On the other hand, sitting a hot iron on your shirt and leaving it for several minutes will likely result in a burn or singe mark — and that’s not what you want to discover on your favorite dress shirt. To prevent this from happening, keep the iron moving across your dress shirt at all times. Turn your dress shirt inside out before ironing it. Not only does this protect the fabric from damage, but it’s also more effective at eliminating wrinkles. When you iron the inside of your dress shirt, the wrinkles on the opposite side — the front — will be naturally smoothed out. You can still use the traditional method of ironing the outside of your dress shirts, but you’ll probably discover that this is a better, safer method. What’s wrong with making circular strokes with an iron? The problem with circular strokes is that it tends to stretch fabrics. 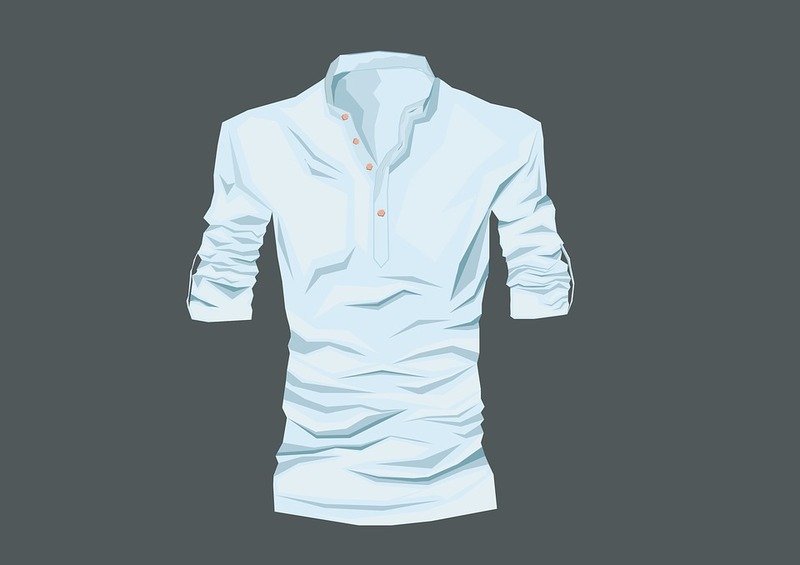 Depending on what fabric or fabrics your dress shirt is made of, this may cause it to no longer fit. Whether it’s clockwise or counterclockwise, avoid making circular strokes when ironing your dress shirt. Rather than making circular strokes, make long strokes that run the lengthwise of your dress shirt when ironing it. The most common method involves making long strokes away from your body, essentially pushing your shirt in the opposite direction. After making one pass, pick up the iron — don’t push it back across the same area — and make another pass on an adjacent section of the dress shirt. Continue doing this until you’ve covered the entirety of your dress shirt, after which it’s ready to wear. When you are finished ironing your dress shirt, remove it from the ironing board and either hang it on a clothes hanger or put it on your body. Allowing an ironed dress shirt to sit on the ironing board will only increase the risk of other wrinkles forming. Avoid ironing over the buttons of your dress shirt. Regardless of the material from which they are made, shirt buttons are too delicate for the high temperatures of an iron. Most of the time, nothing will happen when you iron over buttons. In some cases, though, the high heat may cause them to crack or develop burn marks. Besides, there’s really no reason for ironing over buttons, as it doesn’t improve the appearance or comfort of your shirt. For these reasons, you should avoid ironing any buttons on your dress shirts or other garments.